Women always wear latest clothes; buy trendy and stylish shoes for themselves. 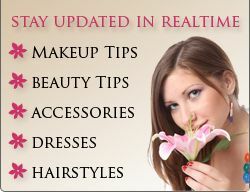 They would also spend their money in buying different types of accessories as they want to look good and beautiful. If you are one of them, then have you given a thought that what if you are wearing stylish and expensive clothes and shoes but you are not smelling good? If this is the case then nobody would like to stand besides you even though you are look beautiful and gorgeous. To smell good, you should apply perfume and thus perfume is also one of the important things which should be bought. There are different types of perfumes available in the market among which you can buy one. Like floral, woody, oriental, citrus or the perfume having fruit smell and many more are available. Every perfume has different fragrance and so the one which suits you should be bought. Select the perfume whose scent is lovable and it doesn’t create any itching to the skin. Make sure that the aroma created by perfume is liked by everyone because if the perfume is much stronger than normal one then other people won’t like it and so won’t stand besides you. 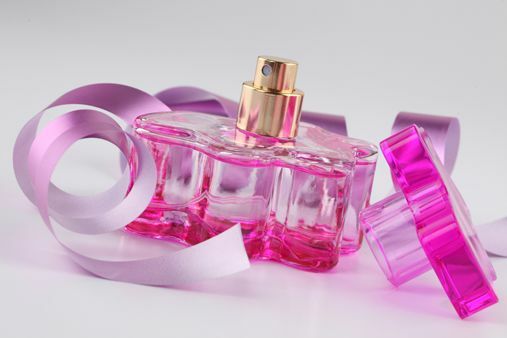 There are light weight perfumes and heavy weight perfumes available, among which you should select the best one according to the time of the day. It is better that you put on a light-weight perfume and if you are going to some evening or night party then heavy-weight perfume is a good choice. Selecting a perfume is a task which should be given utmost importance. You should not pick any perfume which you like by its outer appearance. You should test it first, smell the fragrance and then only go for it. As mentioned above, the time of the day when you are going to wear perfume should be considered while selecting a perfume. Along with this, the occasion on which you are going to wear perfume should also be considered. Like if you are going to office then, light perfumes having fresh notes like green, water or fruity perfumes are also fine if you are going to job. If you are sitting at home only but still want a sweet aroma emitting from you, fruity perfumes having orange, cherry, peach and cranberry are the good choices. When going for a romantic date, floral perfumes are the best. But still if you want an intense and sensual fragrance then you can also opt for oriental perfumes having smell of musk and vanilla. When going on some wedding or if it is your own wedding day, then at that time also floral perfumes are the good choices. If there is some party at night time then as explained above you should select heavy-weight perfume and none is better than woody perfumes. Woody perfumes with scent like sandalwood, musk, cedar are heavy-weight perfumes and you should go with them for occasions like night parties. Selecting a perfume according to the season is also important. Also it is recommended that you should change your perfume every season so that with every new season there is new fragrance revolving around you. Like if it is winter time, then you should go on with heavy perfumes like woody perfumes having smell of musk, sandalwood are good options. You can also go with oriental woody perfumes such as patchouli, cinnamon or other perfumes having spice as a main note. During autumn also, you should wear heavy-weight perfumes. But if its summer time, you should change your perfume from heavy to light. Light perfumes are the best choice for summer time. Go for floral or fresh notes. You can also try on oceanic perfumes as the smell of waves and water is good during summer time. For spring time also, light weight perfumes should be selected. Keep in mind the above points and select a good fragrance perfume for yourself. Let others feel the sweet smell and enjoy your company.